catalogue, manage and share the digital collection of historical newspaper clippings, photos, periodicals, documents and memorabilia . 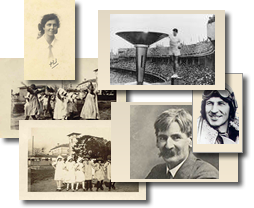 We invite you to add comments with relevant information and background to expand the existing knowledge content of the people, places, event or memorabilia in each record or image. Online Members & Volunteers are welcome. You can share selected images as free ePostcards if you wish.